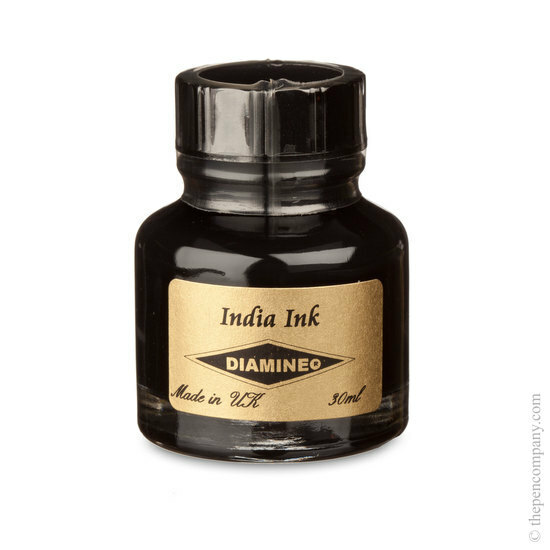 India ink is a simple black ink, known for it's durability and water resistance once dried. It is ideal for dip pens and brushes but due to its composition isn't suitable for use with fountain pens as it can solidify. 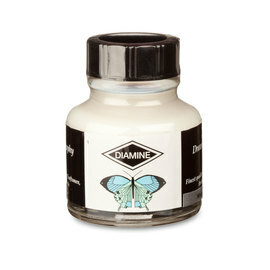 India ink was traditionally made with fine soot; Diamine's is acrylic based. Produces a dense black commonly used for drawing and outlining, especially inking comic books. Comes in a 30ml glass bottle.